I’m back from Italy and I’m sitting here realizing that I’m a completely different person than who I was when I left. Frankly, I think I’m experiencing a little bit of PTSD from this trip and what happened to us. It’s been really hard to process and part of me wants to just not blog it, like I do with all negative things: Pretend it doesn’t exist. If you don’t have something nice to say (or funny, you can say not-nice things with humor) then don’t say anything at all, right? But my trip to Italy was an amazing trip also. There are lots of parts I do want to blog. I saw so many sights, I took so many pictures. I want to share! I have a lot of good stories too but unfortunately I can’t tell the good stories without including the bad stories because they shaped every part of this trip. On the day we left, the Santa Ana’s blew in hard and tore off a limb off our front yard jacaranda tree. 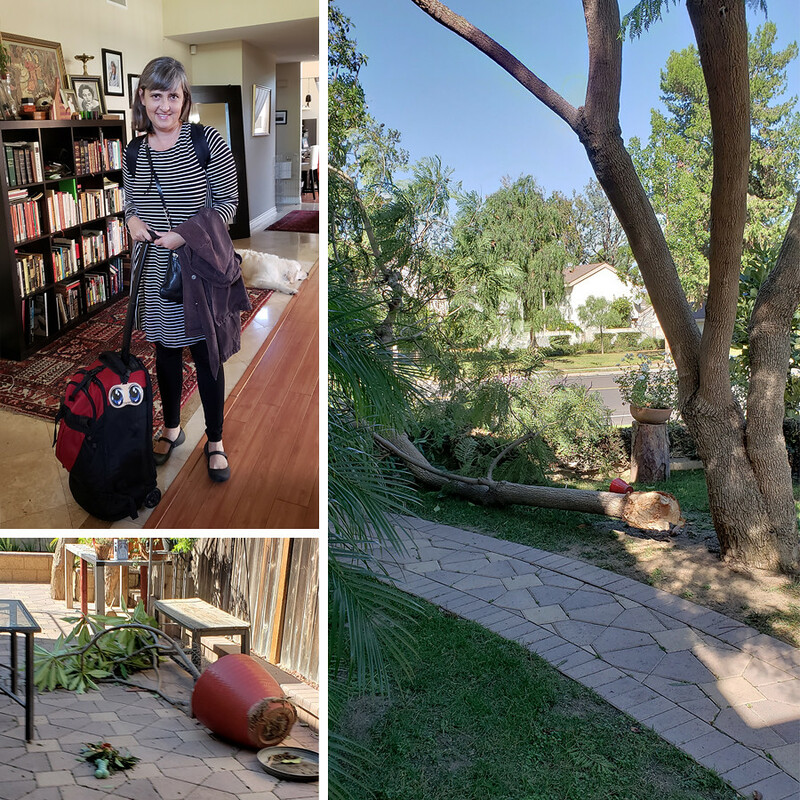 I was a mess of nerves and excitement, filming the wind damage and dancing around with glee that I was leaving soon on a girls’ trip to Italy. I hardly slept the night before I was so excited. I LOVE ADVENTURE. But I was also full of anxiety, did I pack the right things? Did I forget anything? Would I have everything I needed? Check, check and re-check. This trip came up out of nowhere, it was an opportunity I couldn’t pass up. 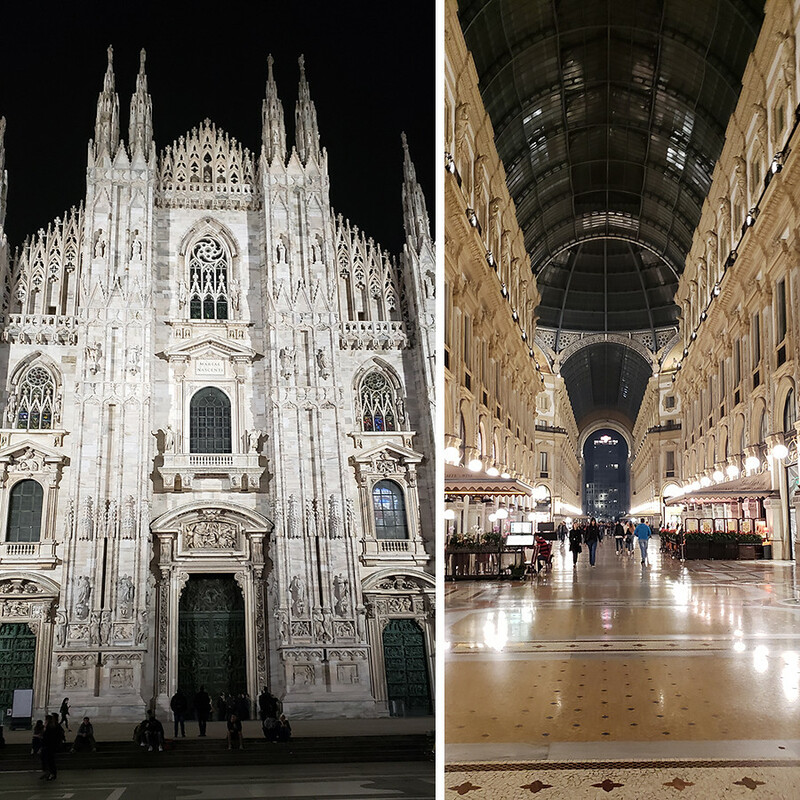 Our friend Christine wanted company on a trip to Milan for business purposes. She’s spent all last year in Italy and is pretty fluent in Italian. My other friend, Teresa, is a travel agent. We put it all together and decided we’d take a girls trip of a lifetime! It all happened so fast I didn’t get time to buy trip insurance which is ridiculous . I figured it would be fine. Every other trip I’ve ever been on has been fine. But it wasn’t. Note to travelers: always buy trip insurance. You have no idea what could happen to you. The night before our trip Payam bought me a new backpack. An expensive one that was really cool. I was going to buy it for myself but he swooped in and bought it for me like the generous loving boyfriend that he is. You can see it up there with the big gold clasp. I took a picture of my luggage while we waited for our flight because I was worried it might get lost and I would need a photo to show to the airlines if they needed to track it down. Funny, that was what I was worried about. I don’t know why I thought I needed a backpack. Backpacks are really not that great for traveling. But I didn’t know. I thought it was just what I needed to carry my laptop and my camera. It worked pretty well, at first. Our flight was long and uneventful. It was really hard to sleep but what else is new, right? Long flights are always hard to sleep through. The arm rest gouges into your back when you turn sideways, your legs cramp up, it’s cold…everything is uncomfortable. But who cares! You’re traveling across the world and it takes time! We were off and I was excited. 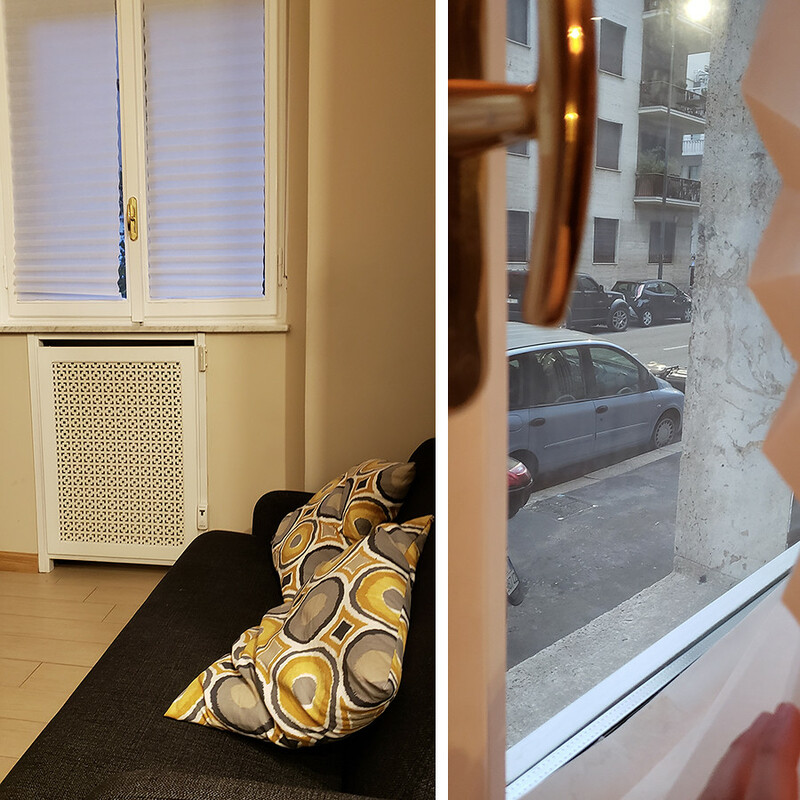 Finally, we arrived in Milan and a van picked us up to take us to our Airbnb. My eyes were bugging out of my head, wanting to see everything at once. Maybe the car wreck in the oncoming lane should have been an omen of things to come but then again maybe the limb of our jacaranda tree getting ripped off could have been an omen. Maybe I don’t really believe in omens. Some Prius-like vehicle was upside down in the oncoming traffic lane and it’s front was badly smashed in, most likely a fatality. Sirens wailed and traffic backed up for miles. This was my first impression of Italy. I remember thinking that drivers were pretty aggressive in Italy. Our taxi driver drove very fast, dodging in and out of lanes with complete ease. It was just another day in Italy for him. For me it was whack-a-doodle bananas. But at that point I was strung so high everything seemed whack-a-doodle bananas. When we got to our Airbnb we met Christine and she whisked us off to see the sights and get dinner out. 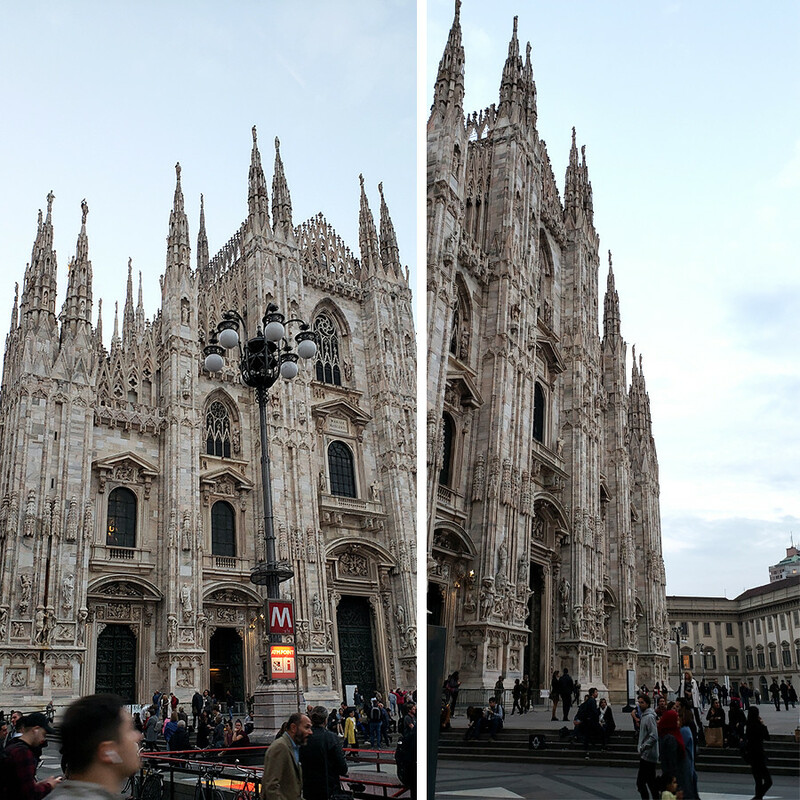 I don’t remember feeling at all afraid until we got to the Duomo. It was very crowded. Kind of like when I visited Notre Dame in Paris and gypsies and pick-pocketers swarm you. You’re staring up at this giant church, ogling it’s massive presence and then suddenly you feel someone putting corn in your hand. I didn’t know what to do. Why did I suddenly have corn in my hand? “Feed the pigeons!” a man said to me, standing right next to me. So I threw the corn in the air for the pigeons. “No!” he shouted. “Hold out your hand to the pigeons.” So I did and some pigeons started landing on my hand. It was kind of cool and crazy. I tried to take pictures of the pigeons in my hand but my camera was too close. It was a really weird experience but I felt a little vulnerable because I was so distracted. I couldn’t be sure someone wasn’t going to swipe my bag or my camera and my friends were calling to me to leave before the man demanded money for his pigeon trick. Somehow I got out of there. We walked around and looked at everything. It was all very overwhelming and exciting. I definitely had stimulus overload but in a good way. I love seeing new places for the first time. Everything is new and different. 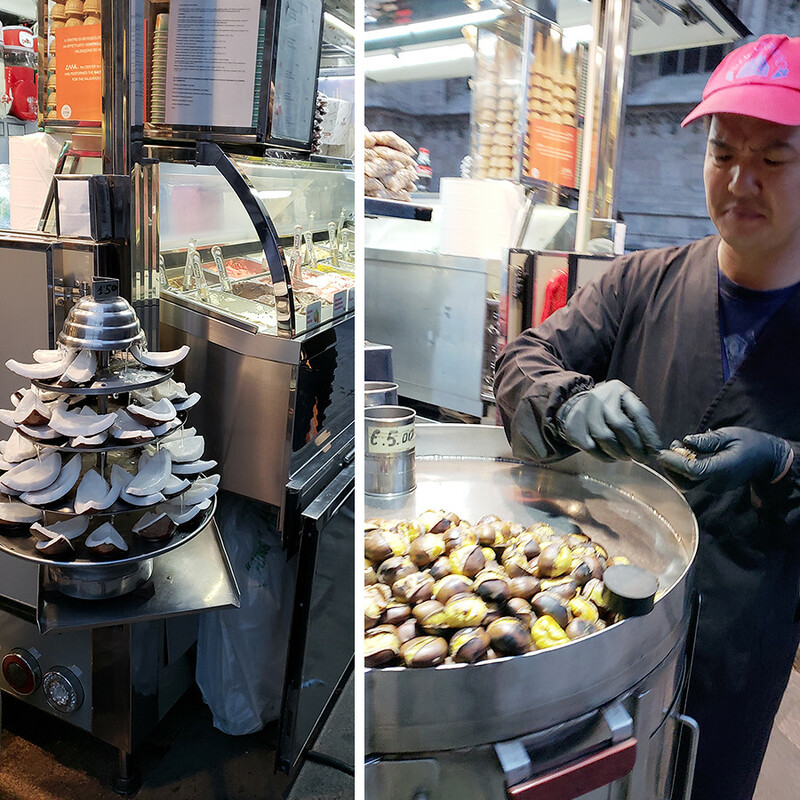 This fruit stand and gelato truck intrigued me with their freshly roasted hazelnuts and coconut fountain. Have you ever seen a coconut fountain? Not me! We walked through the galleria and I spun around for good luck on the golden bull. What a funny tradition. It didn’t really bring me good luck but I got a kick out of it. After a delicious dinner (that I unfortunately don’t have any photos of) we walked back to our Airbnb and settled in for the night. I couldn’t sleep of course. I mean, how could I?!! I’m in Italy and it’s so exciting! Somehow I got to sleep but then at 3 am I heard some noises outside so I got up to investigate. We had left our window open a crack because it was stuffy in our bedroom. We were on the ground floor but our window was a good six feet up from the sidewalk outside. For some reason it never crossed my mind that it was dangerous to leave our windows open. So at 3 am I peeked out the window to the street outside. I saw a man moving trash cans around, making the noise that I heard. I thought it was strange that he would be putting trash cans outside at 3am but I figured he was a custodian of some sort and maybe that’s how things worked in Italy. I do remember the man saw me. We made eye-contact. Then I went back to bed. I slept fitfully, waking up half an hour later. I don’t know what woke me up but I remember staring at the door of our bedroom into the living room. It was open about half a foot. I remember thinking I saw something in the dark. A shadow moving. I couldn’t be sure. I told myself my eyes were seeing things and continued to stare at the door to see if it would happen again. It did happen again. I got up thinking maybe it was Christine doing yoga or something, though that was kind of a weird thing to do in the dark. When I got to the living room I knew something was wrong. The living room window was wide open (not at all how we left it) and the contents of my purse were splayed out across the couch. My purse was there, my passport was there and my credit cards and driver’s license were there. My moleskin full of sketches was there and even my small pencil bag full of pens was still there. Everything else was gone, including the 300 euros I had gotten out for spending money. Even the cheap pleather card holder that I kept my license in was gone. Why would they go to the trouble of removing my cards and take the pleather holder? It was very strange. Maybe the thief didn’t want to leave me high and dry. I ran to wake up Christine in the other room. I shouted, “We’ve been robbed!” Everything became a blur after that. I ran into our room to see if anything had been taken. My backpack that held my laptop and camera was gone. Everything except my suitcase and my phone that was plugged in under the counter was gone. I was lucky. I had my phone, my passport, my driver’s license and my credit cards. But I lost my laptop and my camera and my new fancy backpack that Payam had just gotten me. The sadness hit me like a ton of bricks. I must have interrupted the thief because he didn’t make it to Teresa’s stuff or to Christine’s room that was separate from ours. He only got my things and snagged Teresa’s sunglasses that had been sitting on the dresser near the bedroom door. Everything else was left untouched. Christine called the police and stammered through a police report. It was really hard to communicate over the phone. Interpreters were involved and the phone connection was really bad. Christine kept hearing her own voice play back at her. Police in Italy don’t exactly operate the same way they do in the US. They didn’t seem to think it was necessary to come and asked us to come into the station the next day to create a report. That was no good for us because we had train tickets to go to our next destination the next day and all of our travel plans hinged on getting there on time. This was a royal kink in our plan. We were pretty freaked out. Everything was scary. I remember thinking the thief could come back at any moment. Here we were, three women feeling kind of helpless, shocked and vulnerable. Were we targeted? Was it the trash man I had seen at 3am? Had someone followed me from the Duomo? So many questions. I just wanted to get out of there. Two policemen did come and we made a report but they didn’t speak much English and they didn’t really have anything encouraging to say. I told them the story. 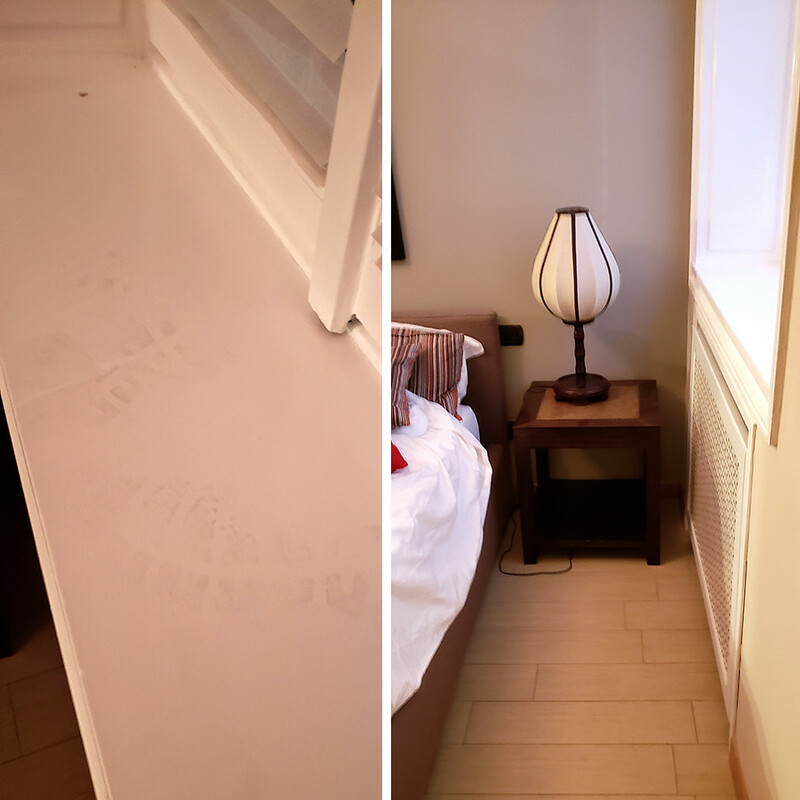 I showed them the footprints on the windowsill that was not more than three feet from where I slept. We surmised that the thief must have come in through the bedroom window (right by where I was sleeping) and left out the living room window. It was so creepy to realize someone was staring at me when I was staring back at them in the dark. 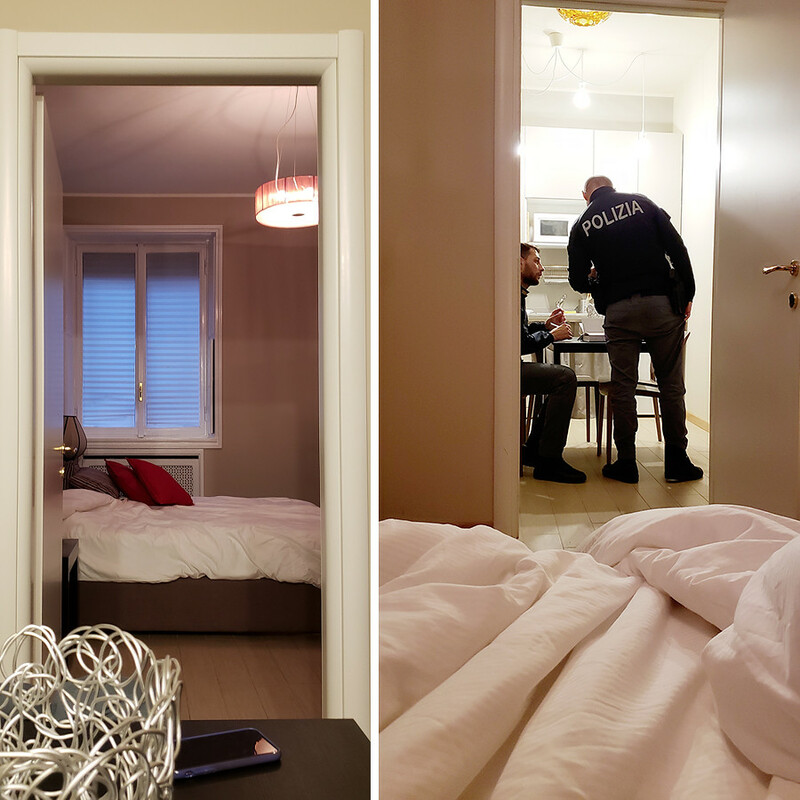 The Airbnb owner came to help us communicate with the police and tried to comfort us. He told us nothing like this had ever happened before but I’m not sure I believe him. He did seem really nice and worried about us. He stayed for a while but eventually left us. We didn’t know what to do. We waited until dawn and then left for the train station. The picture above is the couch that my belongings were strewn across and the window on the right is the window that I peaked out and that the thief entered through. I vowed that I wouldn’t let this robbery ruin my trip. My heart was broken that I had lost my camera because I wanted to spend this trip taking pictures. The fact that my laptop was gone was a huge blow financially but I knew I could start over. I had made a manual back-up before I left and everything would still be there when I got back. It would just be another big purchase that I wasn’t counting on at all. 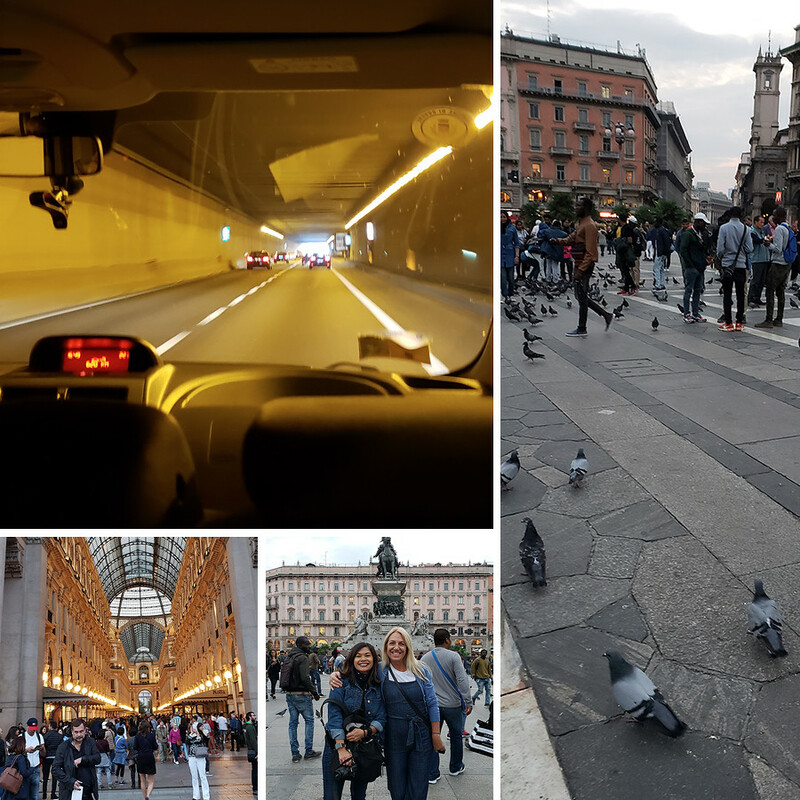 This trip to Italy may have been the most expensive trip I have ever taken. But all is not lost! Next up:Varenna, the sleepy little village that healed my soul. Oh no! I am so sorry that happened to you. I would have been FREAKED out, knowing he had been in the room with you. Thank goodness he was a thief and not something worse (cold comfort). 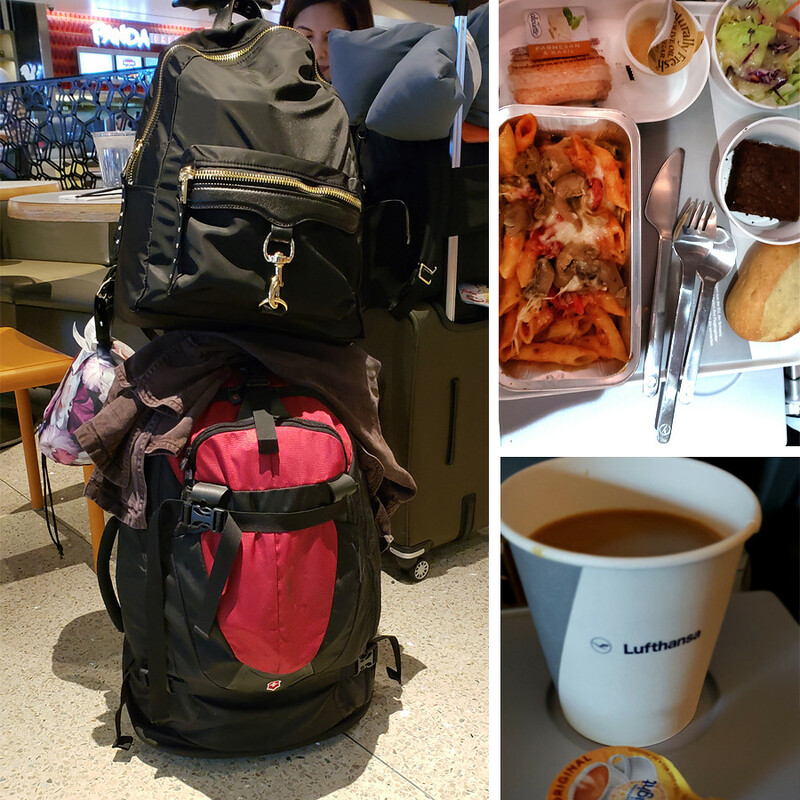 I have backpacked Europe 3 times. I will NEVER go back to Italy. 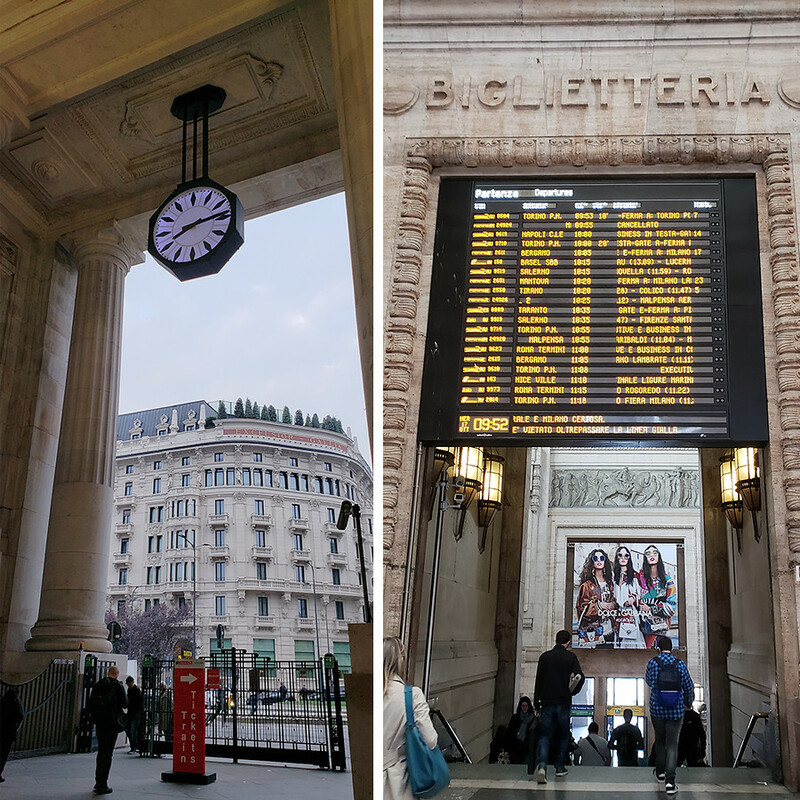 Two short jaunts into Italy was enough — the transportation strikes, the con men, the crowds — it took years off my life. I’m glad you survived! Oh, how awful that you were robbed! I’m sorry this happened to you and hope the rest of your trip was better. 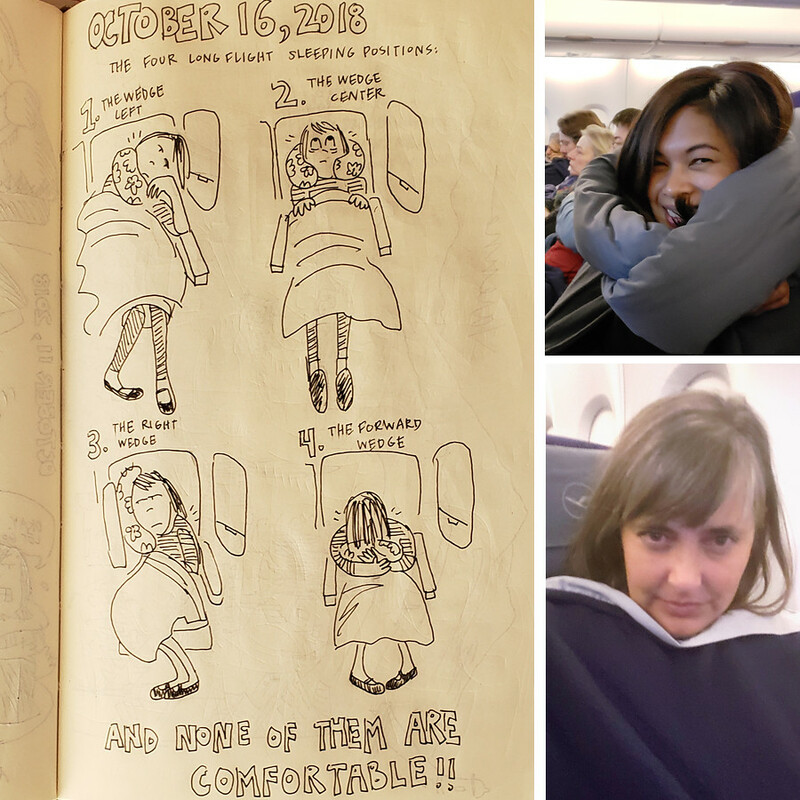 Your illustrations of trying to sleep on a plane are the most realistic ones I’ve ever seen. So, so true. I just really hope that karma catches up with that rat. We adopted our son and he is Italian. We hope to do a pilgrimage to his motherland in the near future. We want him to know his culture in it’s climate. I’m a little freaked out now. How violating when someone takes things that belong to you. How petrifying that they entered and walked past you while you slept. Your writing with the pictures painted the event so vividly and I read it like a suspense novella. I am so glad you were not physically harmed. I look forward to reading chapter 2. So sad to read this B.
Hi, I was so super worried for you when I read about your robbery. I’m not surprised you have PTSD from waking up to find someone in your flat! And in a strange country, when you are jet lagged and confused! Please don’t let this curtail your adventurous spirit. You survived this and are safe. PTSD takes a while to get over though and recovery isn’t linear it’s more like in waves and layers like an onion. Be gentle with yourself. I cannot imagine how scary it would be to have this happen in a place where you don’t speak the language. 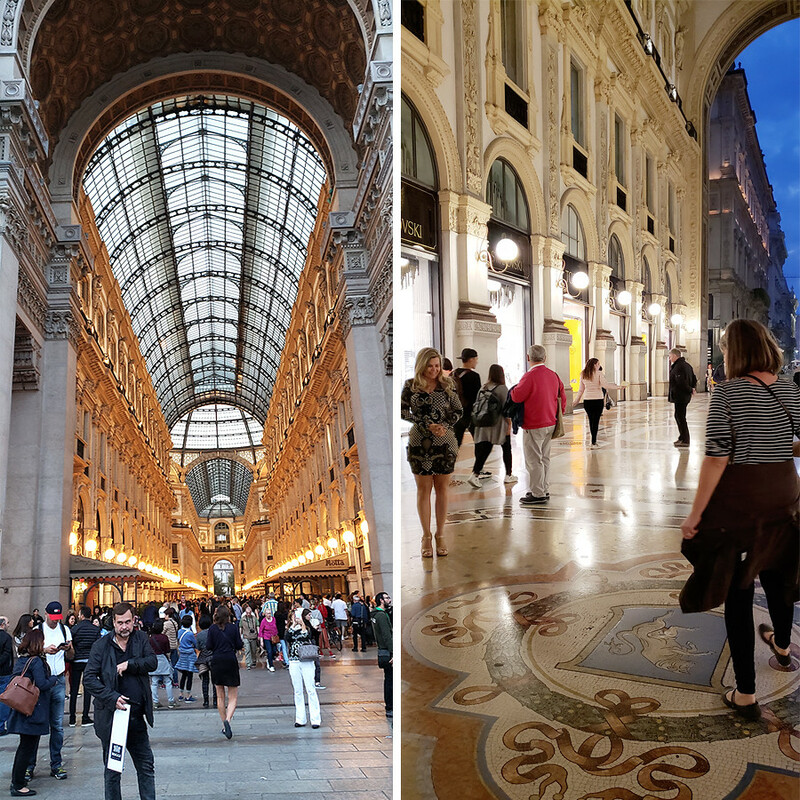 My husband and I did a big Europe trip this spring that included Bellagio and a quick day in Milan. My husband who is an excellent driver hated driving in Italy so much he’s vowed not to go back. The level of aggressive driving in Italy was much more stressful than Austria and Switzerland.